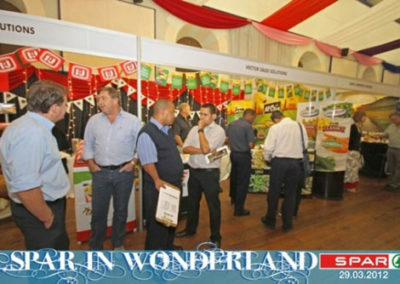 The Missing Link has been in operation for close to 20 years. 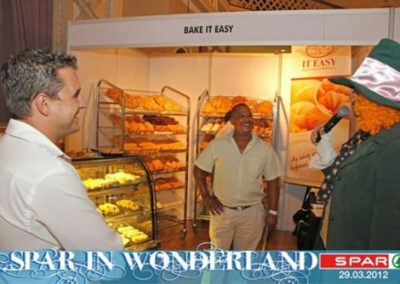 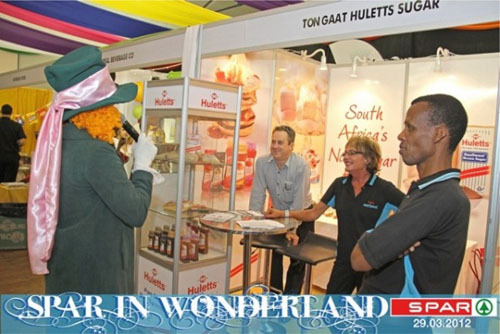 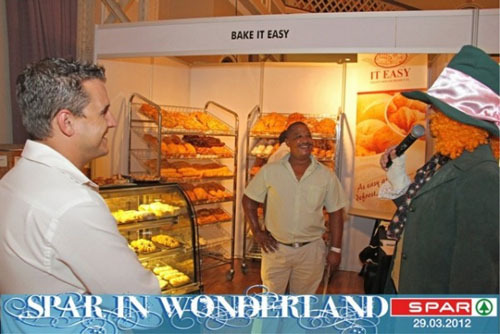 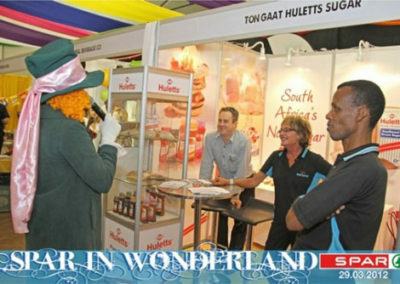 It has set-up small and large events in cities and rural hamlets across South Africa. 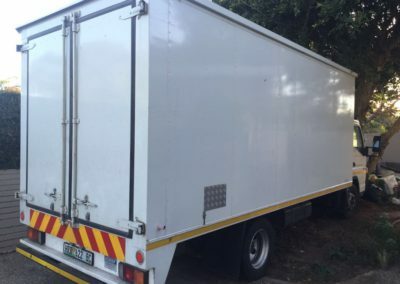 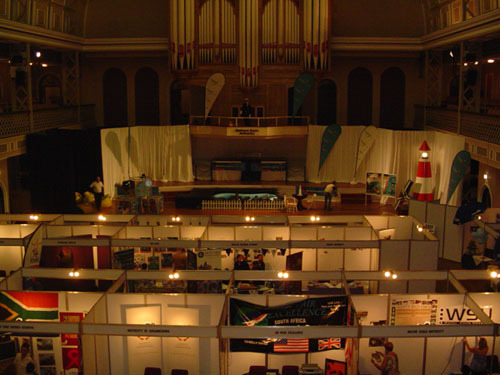 We operate from Port Elizabeth, which is central to all regions in the country. 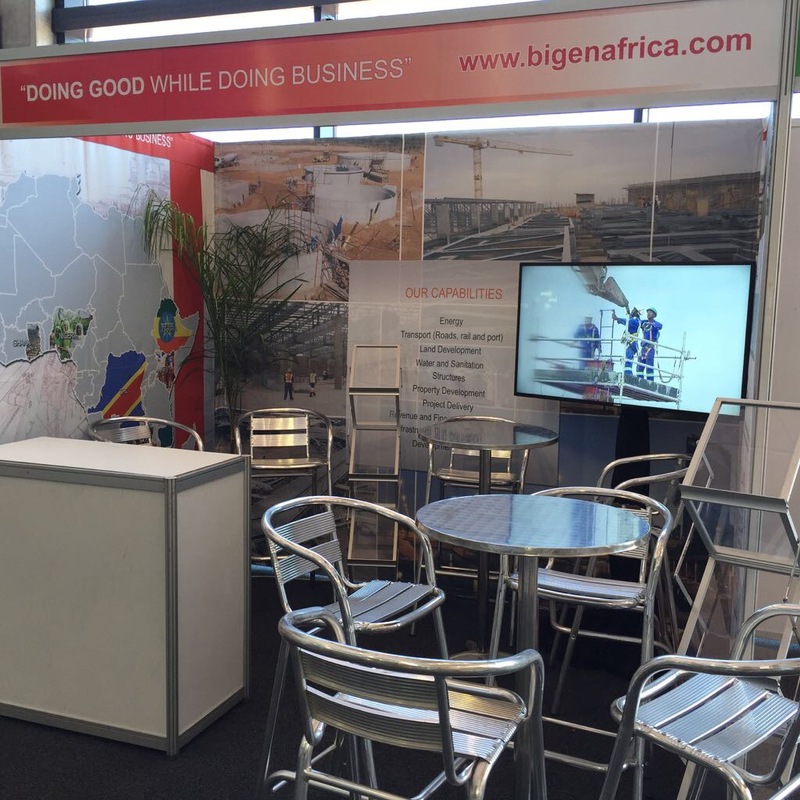 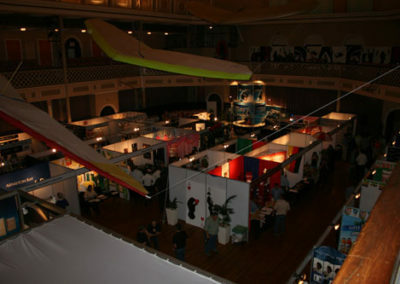 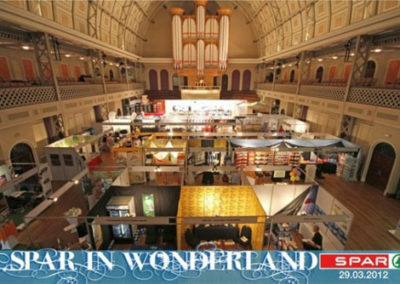 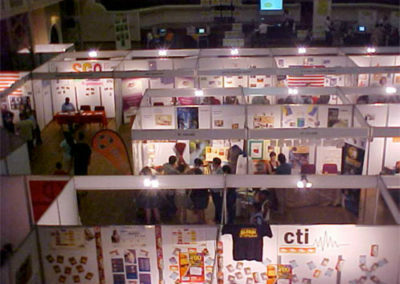 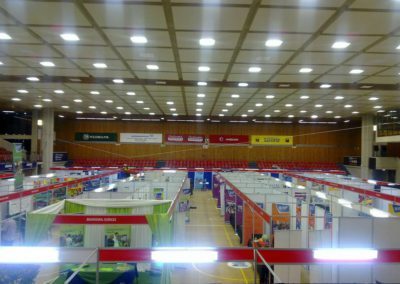 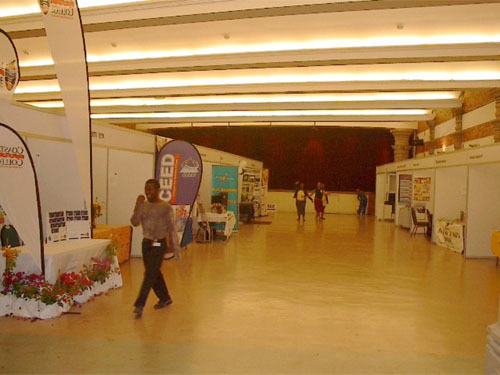 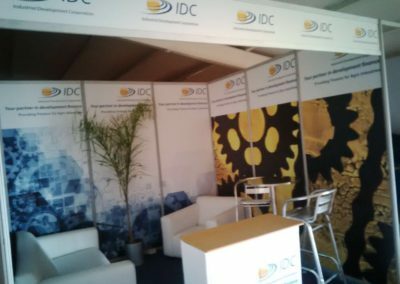 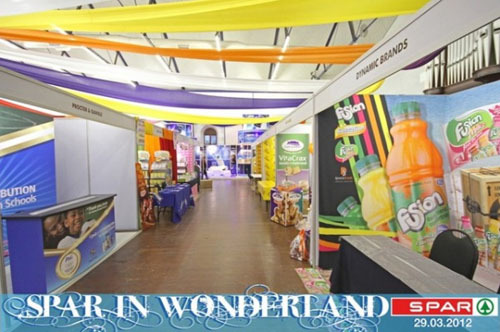 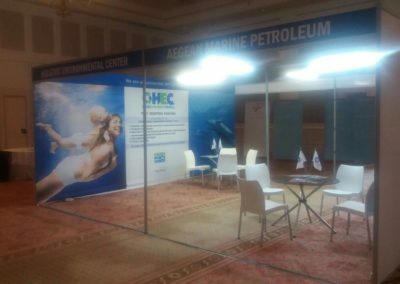 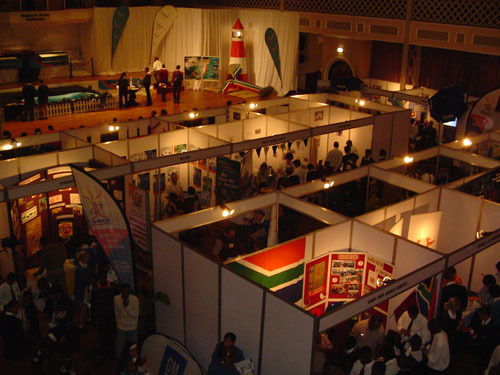 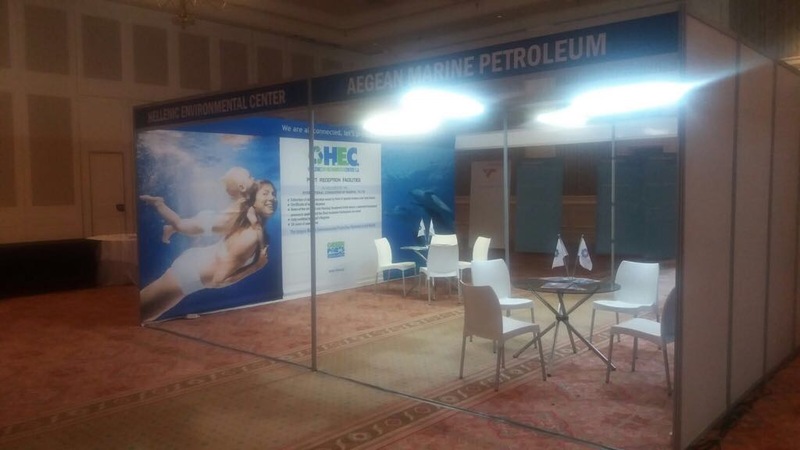 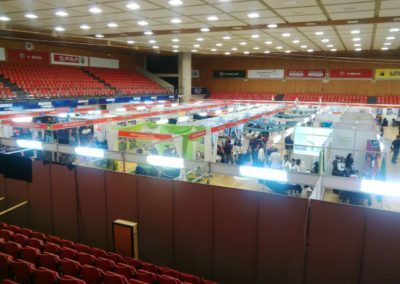 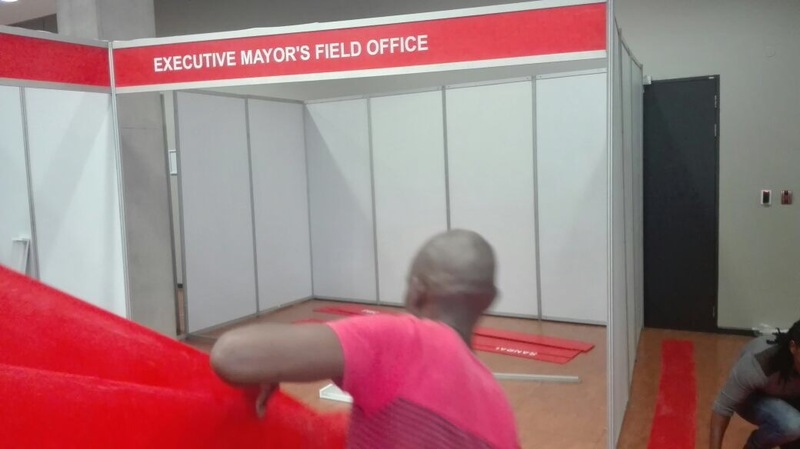 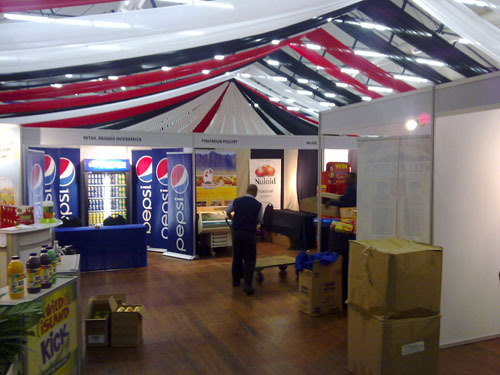 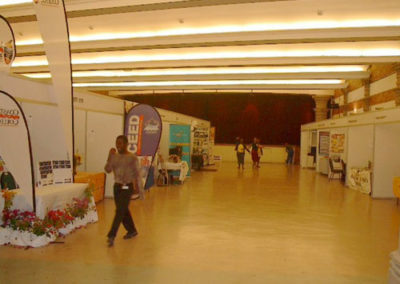 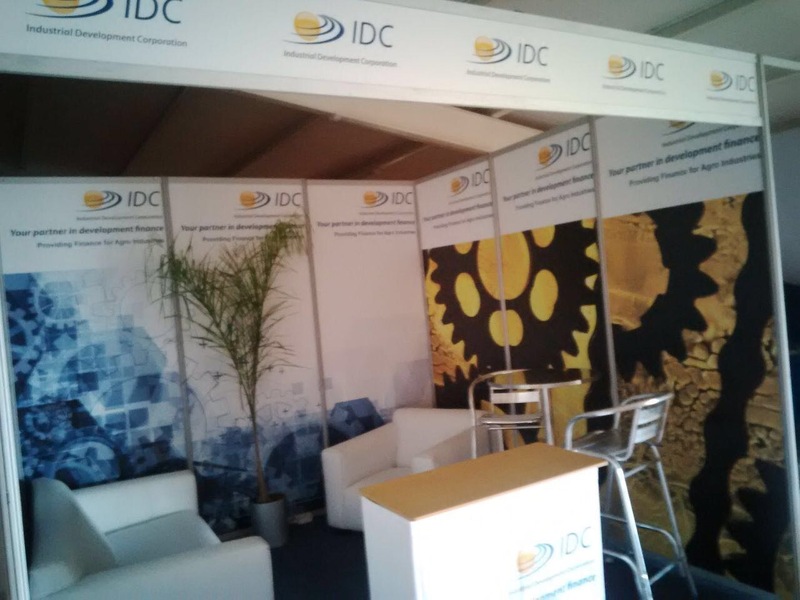 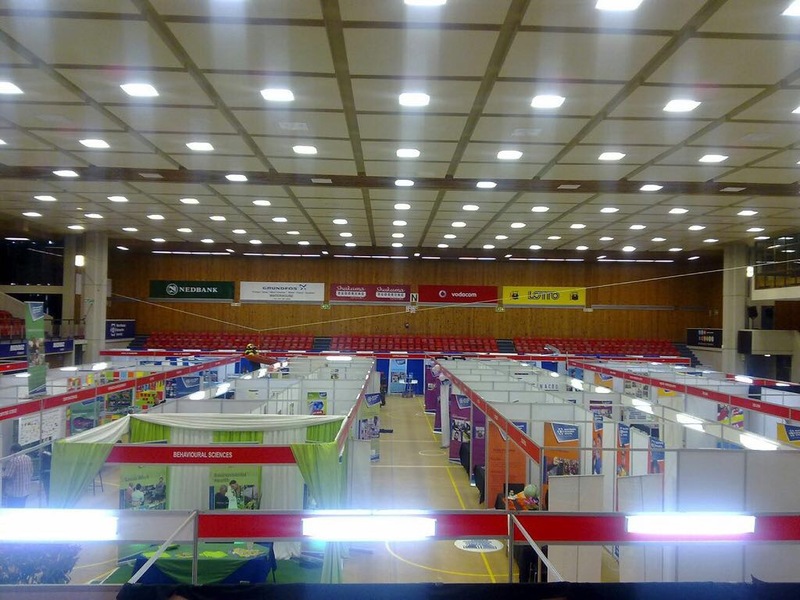 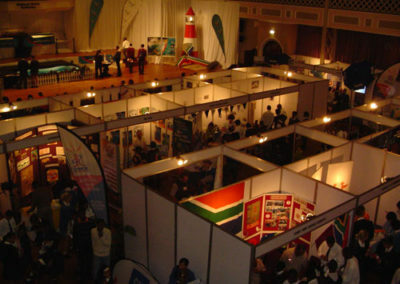 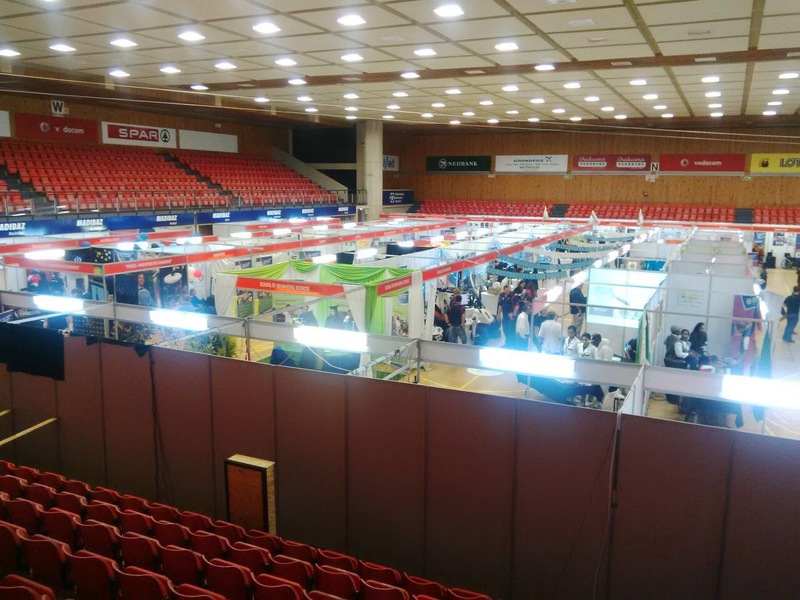 Our core business has always been the efficient set-up, hire and strike of shell schemes for exhibitions and conferences. 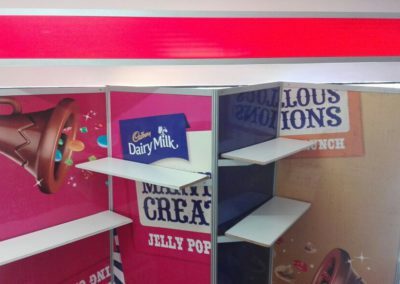 As part of a standard package we provide octanorm compatible shell schemes, vinyl cut printing and electrics. 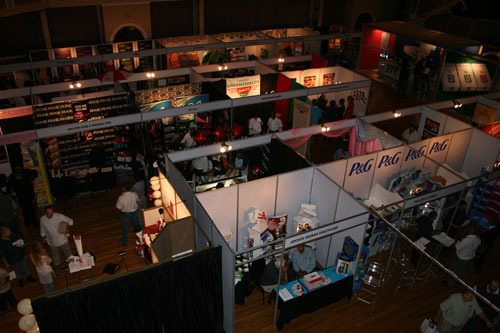 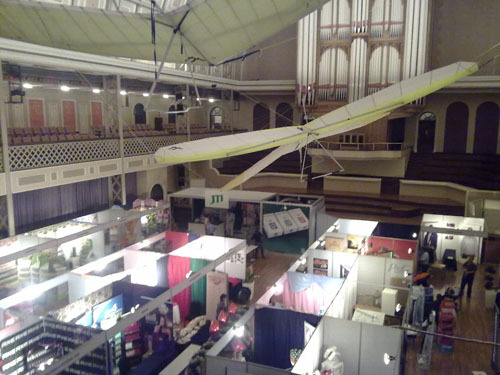 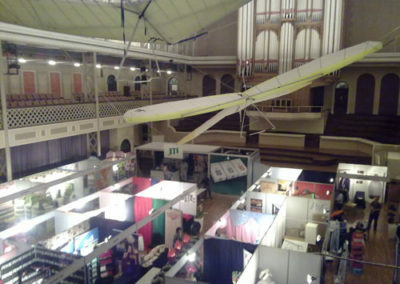 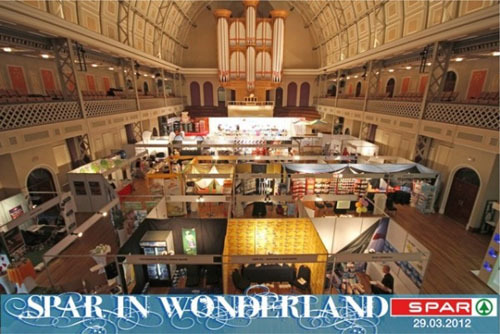 Optional is branding, floorplans, furniture hire, exhibitor liaison and full project/ event management. 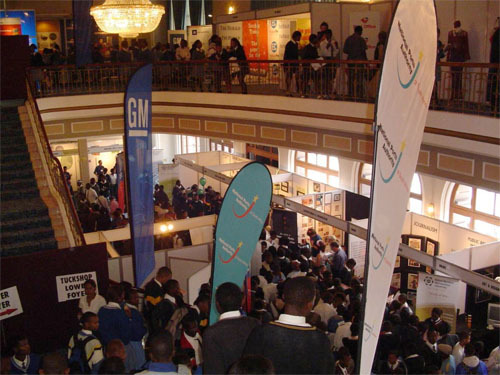 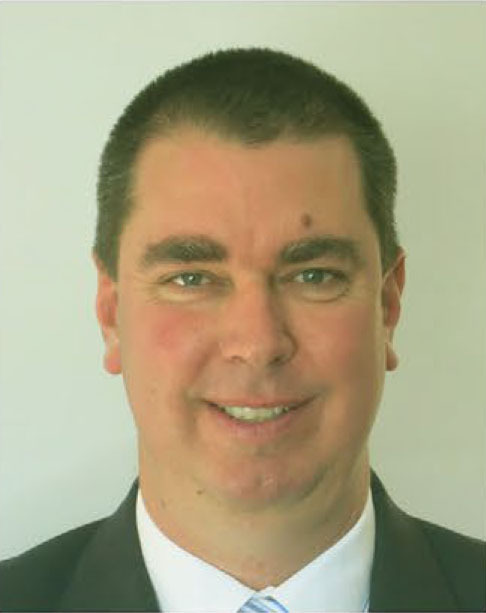 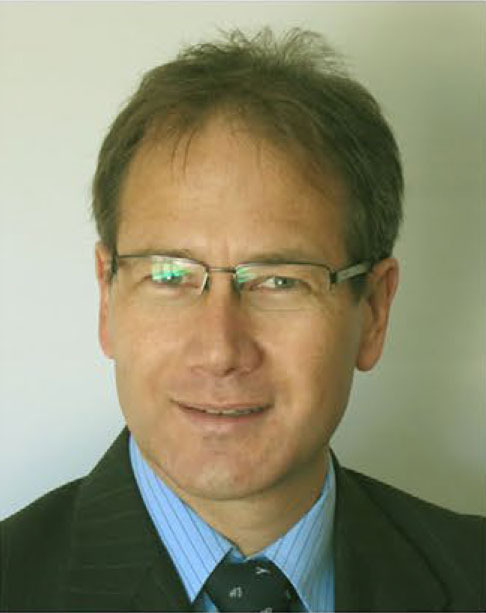 The Missing Link is a CC, owned and directed by Deon Engelke, who has worked in Journalism, Corporate Communications and Event Management with companies like Avusa, Telkom and lnkanyezi Event Organisers. 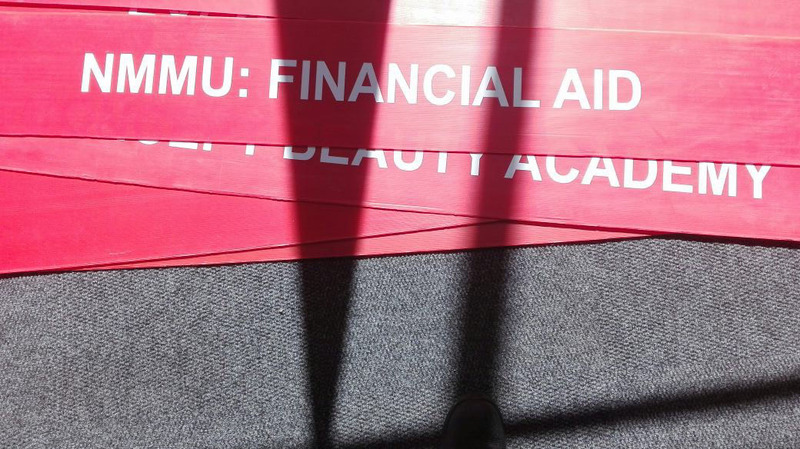 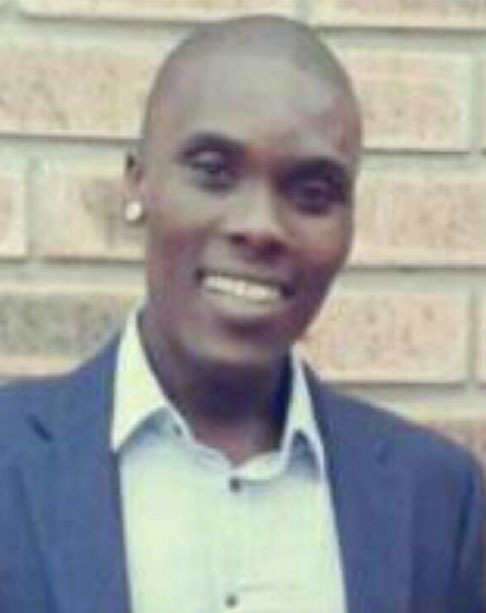 He has a BA (NMMU) and MBL (UNISA). 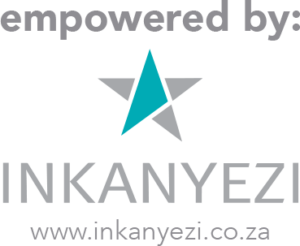 The Missing Link CC is a venture creation project of lnkanyezi Event Organisers. 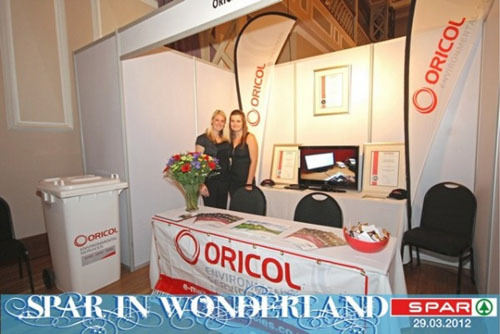 Click Here to view our Company Profile. 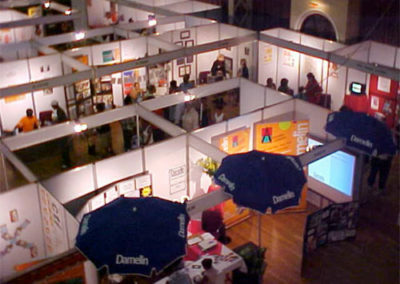 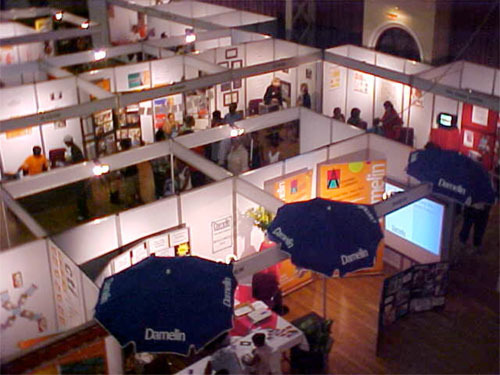 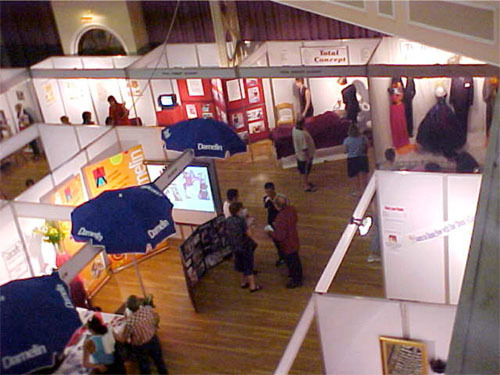 The Missing Link exhibition booth provides exhibitors with a quality, up-to-date, standard exhibition solution. 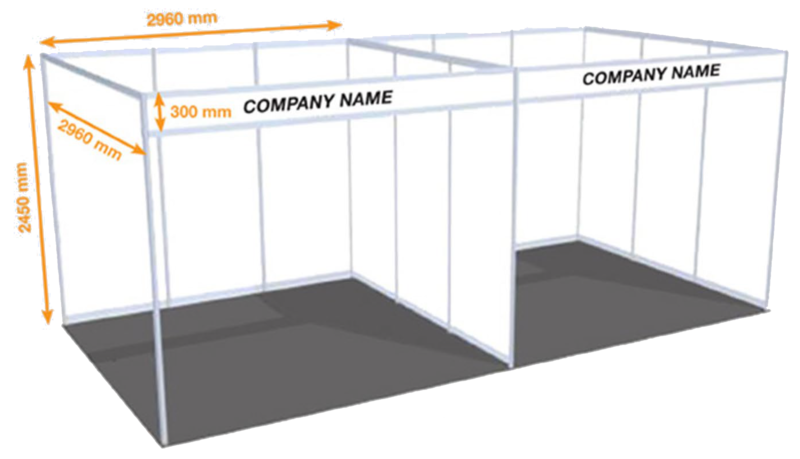 Specifically designed anodised aluminium extrusions frame rigid pvc coated plywood panels, with a silver-white sheen. 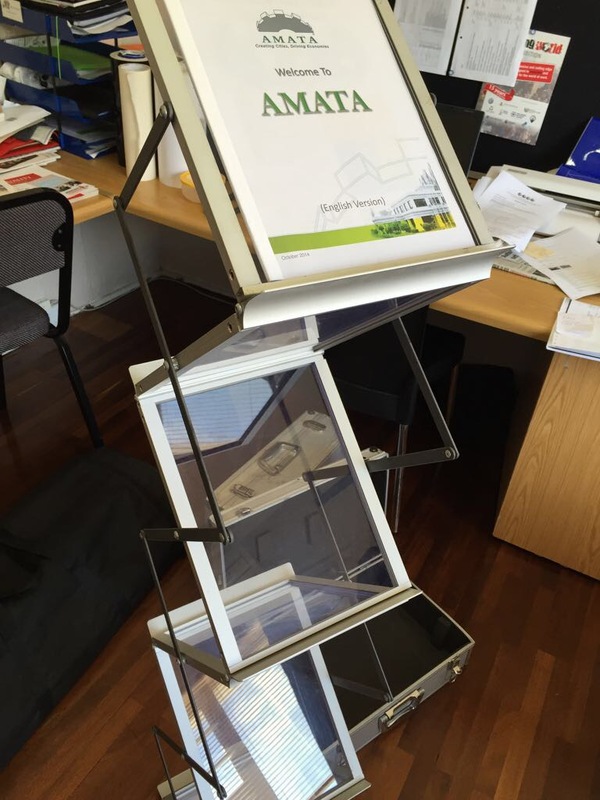 The aluminium frames are compatible with extra features like shelves. 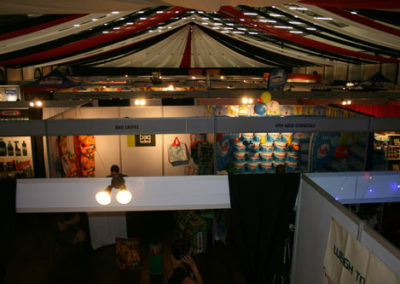 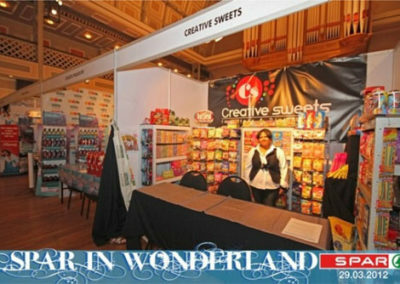 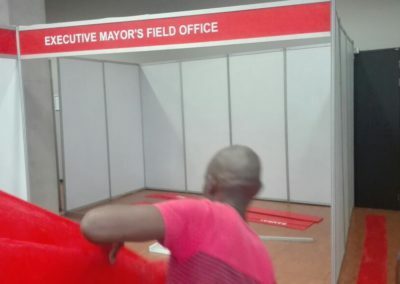 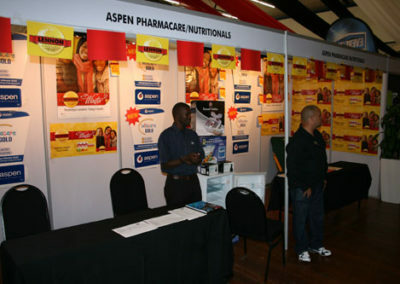 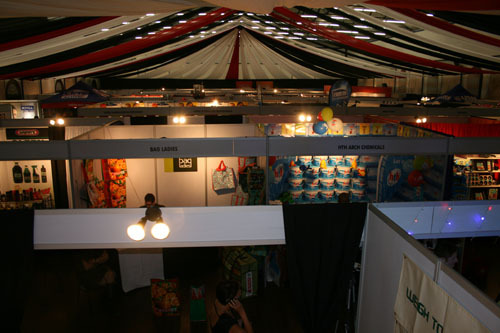 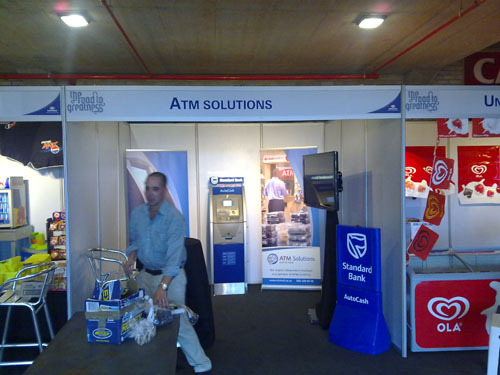 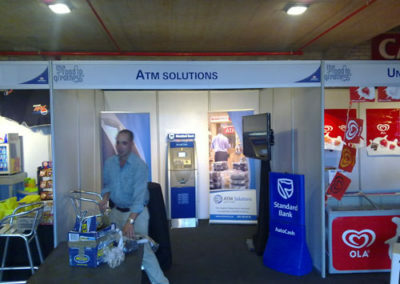 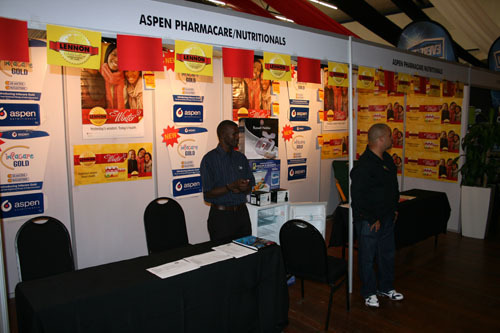 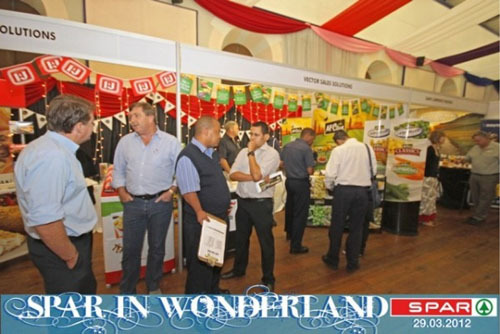 Portable display solutions, pull-ups, flying banners, branded gazebos etc. 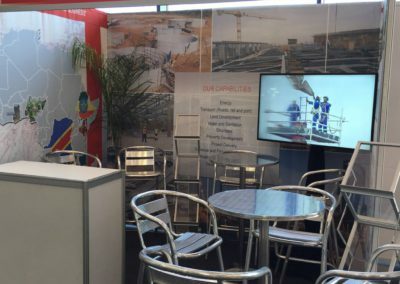 The “MISSING LINK EXHIBITION BOOTH” is made from specifically designed anodised aluminium extrusions and profiles that give exhibitors the most up-to-date standard exhibition structure. 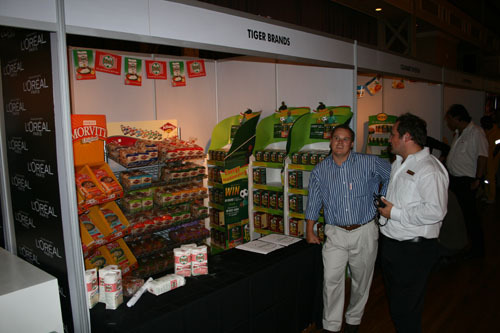 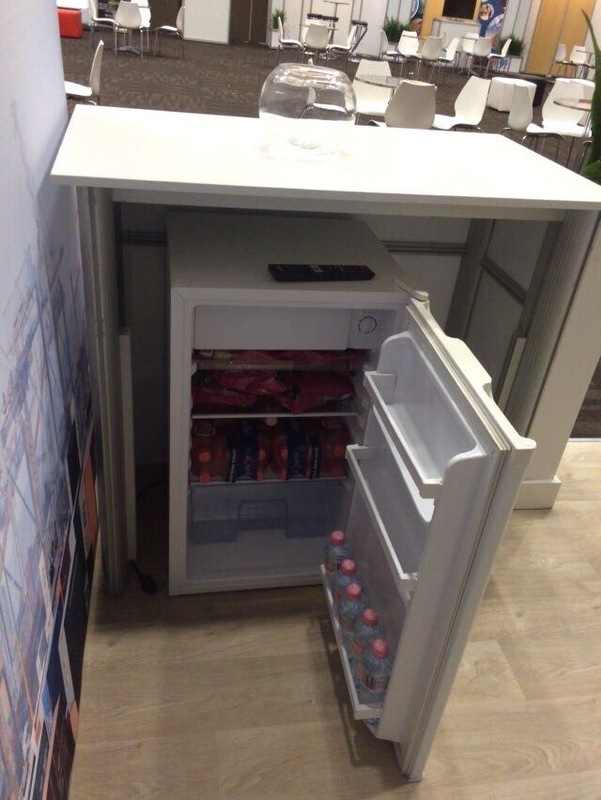 Options exist for shelving to be seamlessly added to the booth. 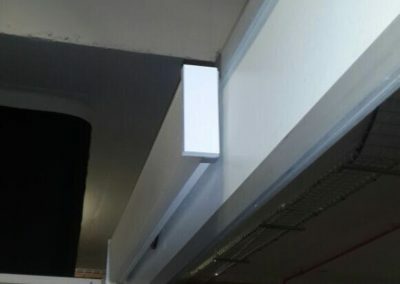 Inner panels are made from rigid pvc coated plyboard and have a slight silver/white sheen finish. Exhibitors are required to make use of prestik only on the panels. 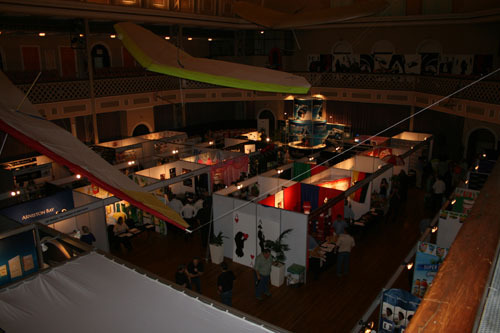 S-hooks from the top of the stand walls may be used but not on facia boards. 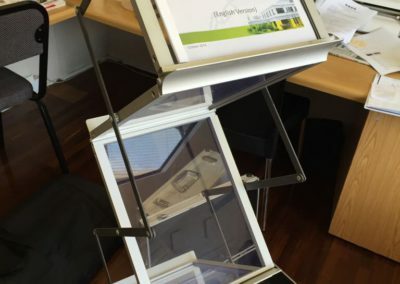 Drawing pins, staples, screws and holes of any kind are strictly prohibited. 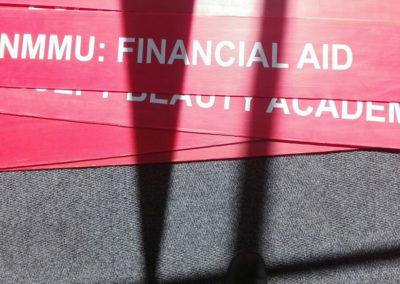 The company name will be printed and applied in vinyl cut lettering to the facia board. 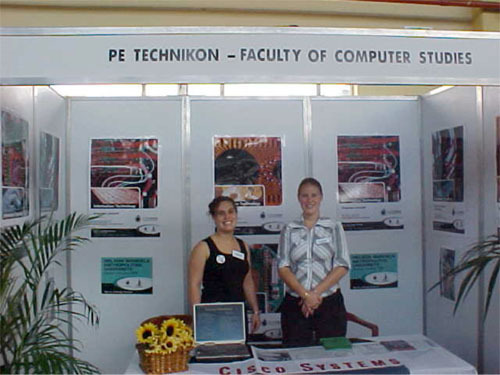 The faci board 1s 300 mm tall, including the aluminium frame. 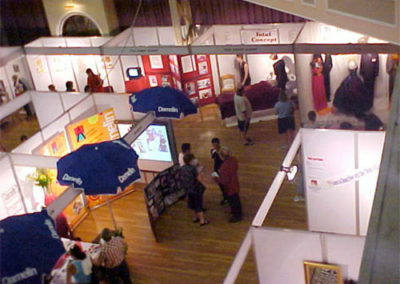 The wall panels are white coated plywood. 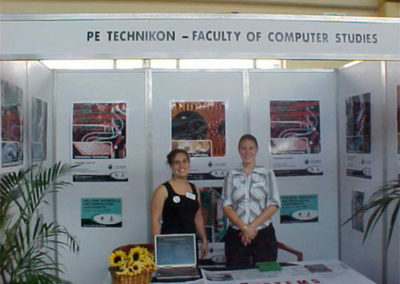 Only use prestik on the panels. 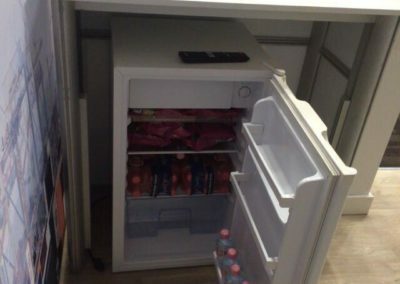 No staples, nails or screws. 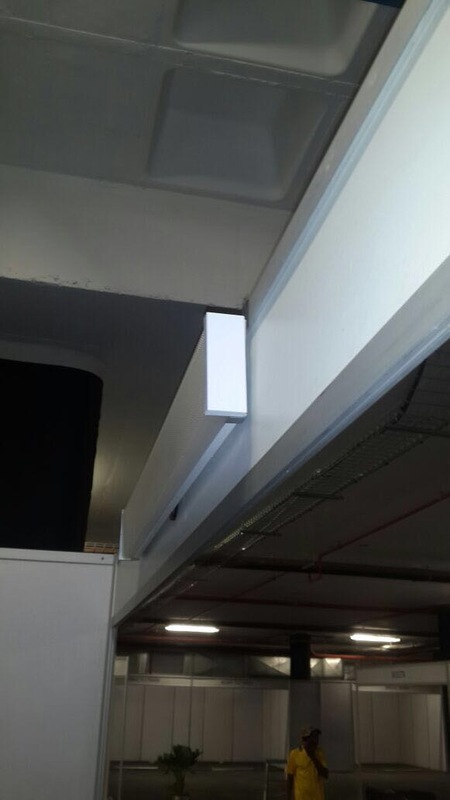 Double sided tape and/or Velcro tape may be used on the aluminium frames which enclose each wall panel not on wall panels. Each stand has 3 sides and one facia board, except stands on a corner which may opt to have one side open. 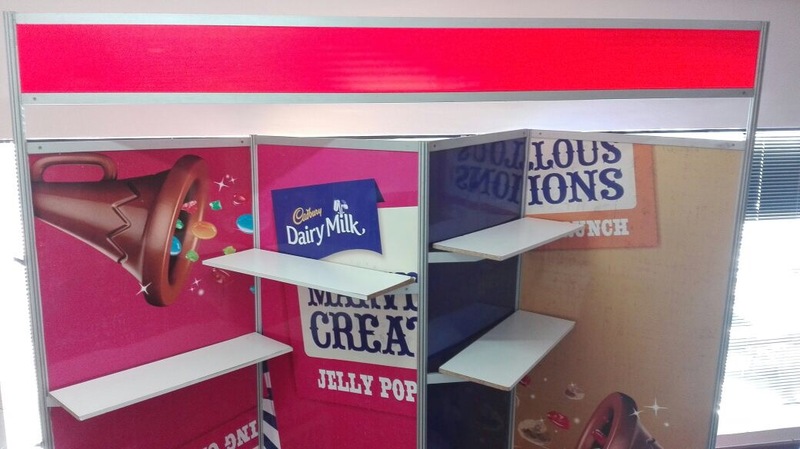 Shelves (white chipboard) are easily fitted.